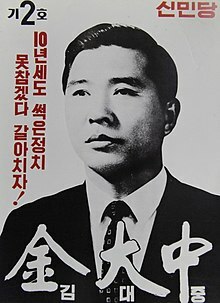 Pak Tu-jin (or Park Tu-jin) (1916-September 16, 1998) was a Korean poet. Cheon Sang-byeong (천상병) was born (January 29, 1930 - April 28, 1993) in Japan and is a South Korean writer who overcame torture, impotence and alcoholism. 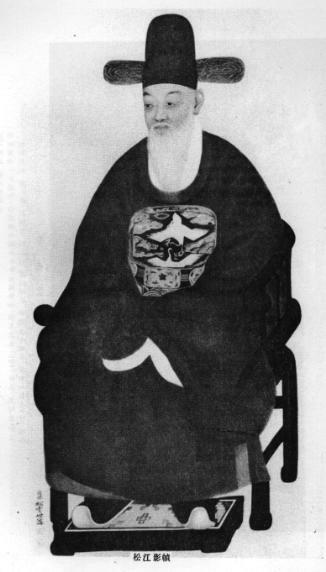 Jeong Cheol (정철, 1536–1593) was a Korean statesman and poet. He used the pen-names Gyeham (계함) and Songgang(송강), and studied under Kim Yunjae at Hwanbyeokdang. He was expelled by the Easterners. Heo Gyun (허균 許筠, 1569–1618) was a prominent Korean politician and poet, novelist, scholar, and writer of the Joseon dynasty. He was also known by his pennames, Gyosan (교산 蛟山) and Seongso (성소 惺所). Kim Yun-sik was born in Seoul, South Korea in 1943. He is one of the highest ranking hapkido (10th dan) and taekwondo (9th dan) instructors in the world and founder of Bum Moo Kwan Hapkido. Lee Eun-sang (October 22, 1903 – September 18, 1982) was a Korean poet and historian. He was dedicated to the revival and modernization of sijo, a form of Korean poetry.